Thanks, Chris. I’m sure most of my readers would love to see JP handcuffed to Sabre. Everyone seems to love JP. But then, what’s not to love? And handcuffing them together isn’t a bad idea, maybe I’ll do that in another book. I’ll post more emails later. The fourteen-year-old girl struggled to break free from the bindings on her hands and feet. One woman on each arm held her as she fought. 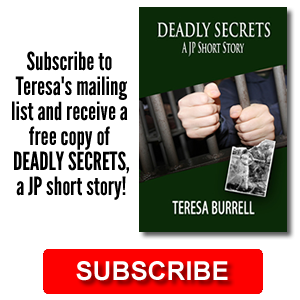 Her feet were in stirrups, and the unbearable pain shot through her abdomen. Her blonde hair was wet with sweat. She yanked her right arm away but the heavy-set woman holding her arm threw her body across the teenager, pinning her down on the hospital bed. The girl looked around the small, dirty room for help, but all she saw was a man wearing a surgical mask sitting at the end of the bed between her legs, waiting for her to give birth. He would be no help. After all, she had agreed to this. The candles flickered around her, casting soft shadows around the room. The oak tree painted on the wall and the circle around her bed would protect her, or so she was told. But she hurt so badly and no one seemed to care. The heavy-set woman was face to face with her. The girl could feel her breathing and smell her garlicky lunch. “Just push,” she said again. The girl wanted to say no. She didn’t know what to believe, but fear won out. “Yes,” she said. “Yes, I believe. I believe in the power of the oak. I believe in the power of the oak.” She was chanting now and the two women joined her. The young girl screamed again as another contraction shot through her. She pushed as hard as she could, then stopped. She pushed and screamed in agony until she felt the mass exit her womb. Her body lay limp on the bed as she heard the baby cry. The heavy-set woman continued to hold her in place while the tall woman took the baby to the back of the room and out of sight. The baby’s cries still filled the room. A few minutes later the woman returned without the child. The girl turned her head away and closed her eyes. What have I done? Most of you know that identity theft is a real problem complicated by today’s technology. But it’s not all about the cyber space. Identity theft has been going on for years in the real world. What many of you may not know is that children are attractive targets for these thieves. They are even more vulnerable than adults because a child’s social security number hasn’t been tainted by bad credit and the crime is often not discovered for many years. One group that appears to be particularly at risk is foster children. These children, and their private information, pass through many hands. And when they are emancipated they often have to face this predicament without any family to help them. So, on top of many years of dealing with more losses than any child should ever have to suffer, they often have to deal with the loss of their identity as well, creating problems with school loans, car loans, and other credit issues. One foster child was tagged with his own father’s child support bill because his father used his son’s social security number when applying for a job. He got the job, his wages were garnished, and then he lost the job. The debt continued until the son ultimately had a $50,000 child support judgment against his credit. Any one who has ever had to deal with this problem knows what a horrendous task it is to get something removed from your credit report. We don’t know exactly how many of these children end up with bad credit due to identity theft because many of them are never reported. The state of California finally recognized the problem and in 2006 a law was enacted intending to clear foster children’s credit records before they left the system. However, due primarily to limited funding, implementation of the law was delayed–and still is. In 2010 a pilot program was put into place in Los Angeles with some success. You can read the complete report here but one of the key findings included the clearing of 247 separate accounts from the credit reports of 104 foster children. The largest was a home loan of $200,000. So what needs to be done? Federal legislation was reintroduced last month, the Foster Youth Financial Security Act of 2011, requiring annual credit checks on foster children. Perhaps this will help. These children have enough to deal with. They certainly don’t need to start their adult life with bad credit. 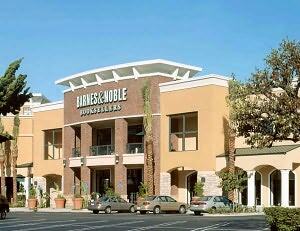 I had yet another incredible weekend in the Barnes & Noble store in Torrance. The staff there is so wonderful and the readers have become my friends. I get hugs from some of the regulars and lots of smiles from readers. There is one special lady (we’ll call her Marilyn) who comes in every time I’m there. She always takes the time to stop and say hello and chat for a bit. Marilyn is very sweet and although there isn’t that much difference in our ages, there’s something about her that reminds me of my mother which makes the visit even more special. I’m always flattered when people are excited to see me just because I’m an “author.” I understand why that is because as a reader I’m always excited to meet an author whose writing I admire. It’s just that I’m still surprised when it’s me. Sometimes parents will come in with their children and say, “Look, little Hayden, this woman is an author. She wrote this book.” Often the kid isn’t too impressed and the parent is apologetic because she expected a different reaction. I find it humorous since I’ve worked with enough kids to know the “Legos” display will get a lot more attention than me. But one experience last weekend is worth noting. A little boy about 7 or 8 years old stopped about ten feet in front of me. He looked at me, then at my 8 foot sign, and then at the stack of books on my table. He didn’t say anything. He started to walk away from me glancing back occasionally. Then he disappeared into the store. I so wanted to respond, “No, I’m the George.” But of course I didn’t because he was too young to get the joke and besides he was so excited about meeting me. I signed a bookmark and gave it to him. His smile beamed across his face. I just spent another great weekend in Barnes & Noble signing my novel, The Advocate’s Betrayal. This time I was in Ventura. That’s a long drive…but well worth it. I sold out and met another group of interesting people. I also had the added bonus of spending some time with my nephew and niece who live in Ventura. While at the store, I do what they call a “Meet & Greet” which basically means I greet people when they come in the door and let them know who I am. I offer them a bookmark and try to determine if they read mysteries. No hard selling. I know if they don’t read mysteries chances are they won’t like my book. Oh, I’m sure a few would buy it because of my charming personality, but then they probably wouldn’t read it anyway, and I want them to read my books! But I often get some very interesting answers to some simple questions. For example, I asked the question, “Do you read mysteries?” Here’s some of the answers I received this weekend. It’s always an experience having a “Meet & Greet” and I truly meet a lot of wonderful people. Thank you, readers of Ventura. Rachel Harrie has this incredible platform-building campaign going on. This is her third one and it seems it’s a great way to work together with other writers. 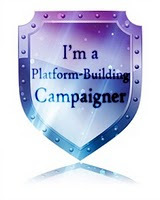 If you are a writer/blogger it would behoove you to check it out. I’m excited to be a part of it. The campaign timing is perfect for me with the release of my latest novel, The Advocate’s Conviction, just around the corner. By the way, today is the last day to get on board. So if you’re interested check it out now. I think this will be a lot of fun. Okay, so I’m trying to put a link on the “shield” but I can’t seem to get it to work. So if you’re interested in joining the campaign, please go to Rachel Harrie’s Blog Post. 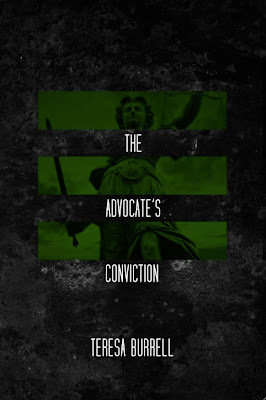 So here it is, the cover for The Advocate’s Conviction. The cover art was designed by Daniel Pearson. I love his work. He has done all three of my books and I’m really happy with all of them. On top of that he is an extremely pleasant young man. So if you need any artwork done, he’s your go-to guy. I would highly recommend him. Release Date for The Advocate’s Conviction! So here we go, book number 3 in The Advocate Series, The Advocate’s Conviction. It will be released on October 22, 2011. That is only 8 weeks and 2 days from today. In the next few days I will share the cover with you and let you know when and where we will have the launch party. We’re still tying up a few loose ends. Get ready for Sabre, Bob, & JP to get themselves in and out of another mess! 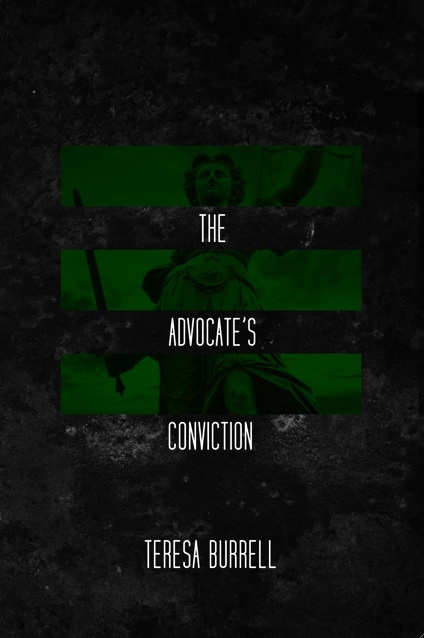 “The Advocate’s Conviction” is the name of the third book in The Advocate Series. It is finished. The editing process is completed. The jacket cover has been designed. Keep an eye out here on my blog and I’ll keep you posted each step of the way.